Don't just learn languages, fall in love with them! 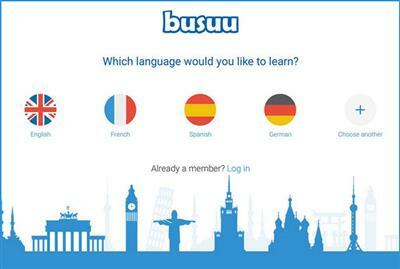 Language learning couldn’t be more fun and easy than with busuu. Learn Spanish, English, German, French, Italian, Portuguese, Turkish, Arabic, Polish, Russian, Chinese, and Japanese with the help of over 60 million international native speakers who are learning, practicing and teaching on busuu. Don't just learn languages, fall in love with them! Your language learning couldn't be more fun and easy than with busuu. Learn Spanish, English, German, French, Italian and 6 other languages with the help of over 60 million international native speakers that learn, practice and teach with busuu. Rated by Google as a "Must have app" and "Best app of 2015", busuu's language learning app is effective and the best way to learn a new language fast and anywhere.